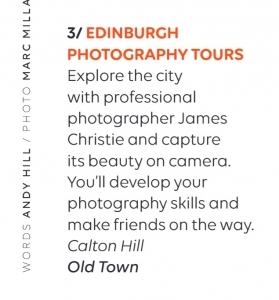 We are still celebrating a fantastic week for Edinburgh Photography Tours. Featured in the EasyJet Traveller Magazine, November 2018 issue and then yesterday we were notified that we have won the 2018 Travel & Hospitality Award for “Best Learning Experience in Scotland”. We are thrilled, to say the very least.